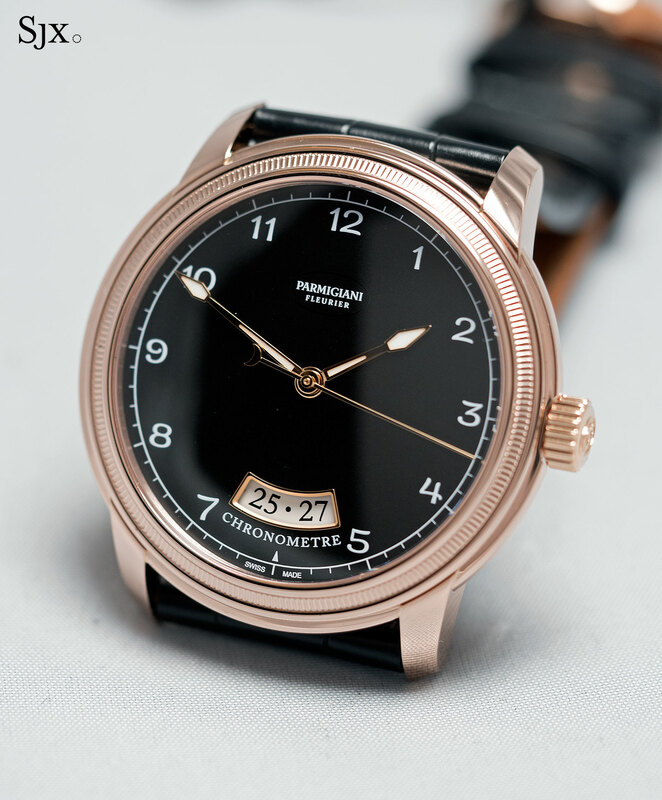 Parmigiani unveils several entry-level timepieces in steel, plus the handsome but pricier Toric Chronometre. 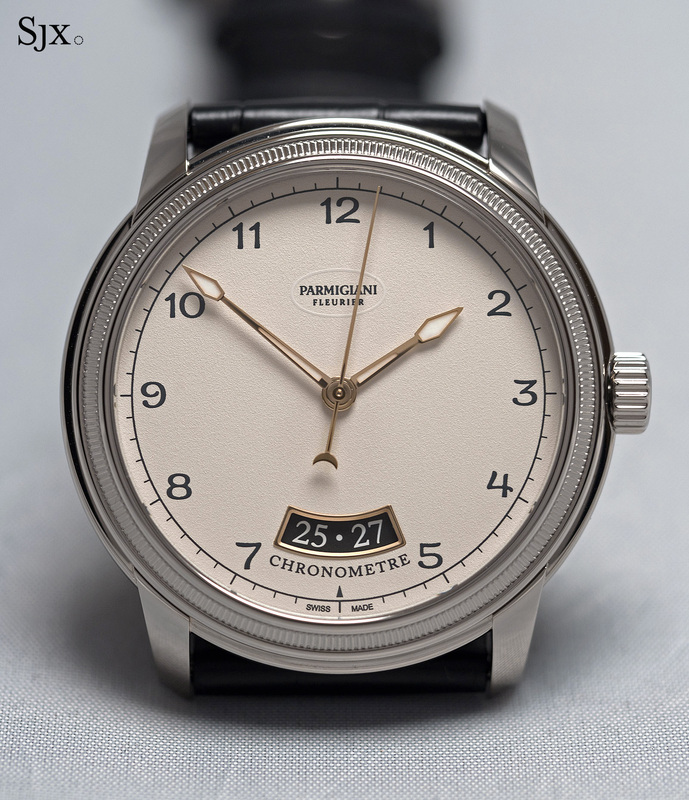 Parmigiani produces timepieces that are extremely and tangibly well made – in fact as good as the big boys from Geneva – which usually renders its timepieces discouraging expensive. 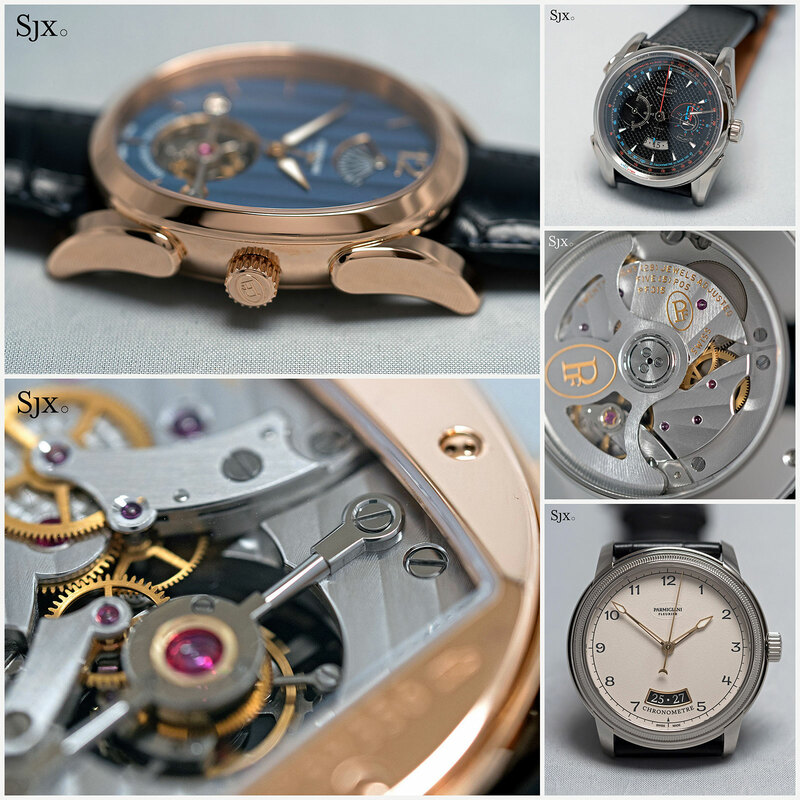 Fortunately SIHH 2017 saw the addition of a diverse array of stainless steel watches to the Parmigiani line-up. 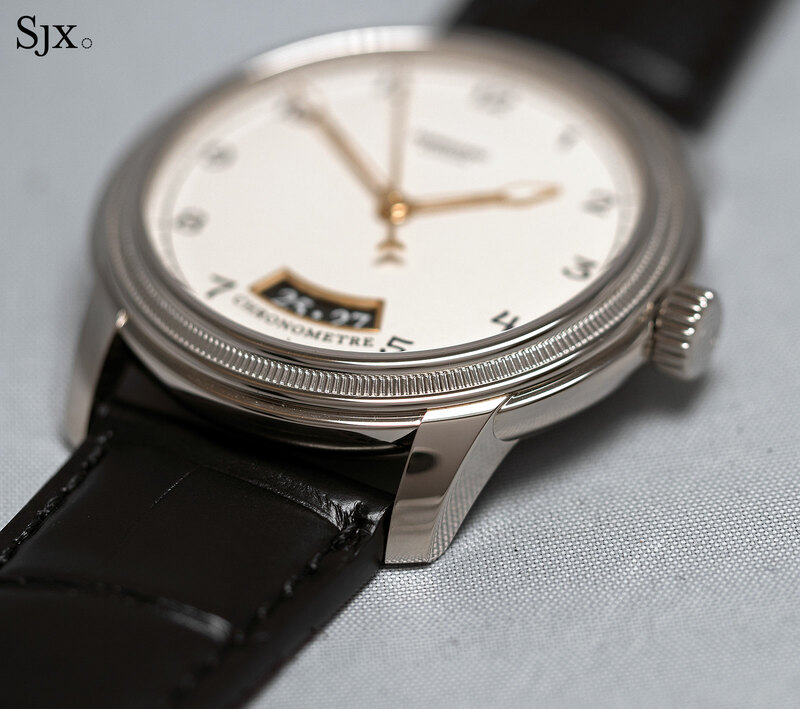 The most basic watch in the line-up is the Tonda 1950 in steel, a large but elegant flat time-only wristwatch that was previously only offered in precious metals. The steel model measures 40mm in diameter, slightly larger than the 39mm gold version, but still as thin at just 8.2mm high. 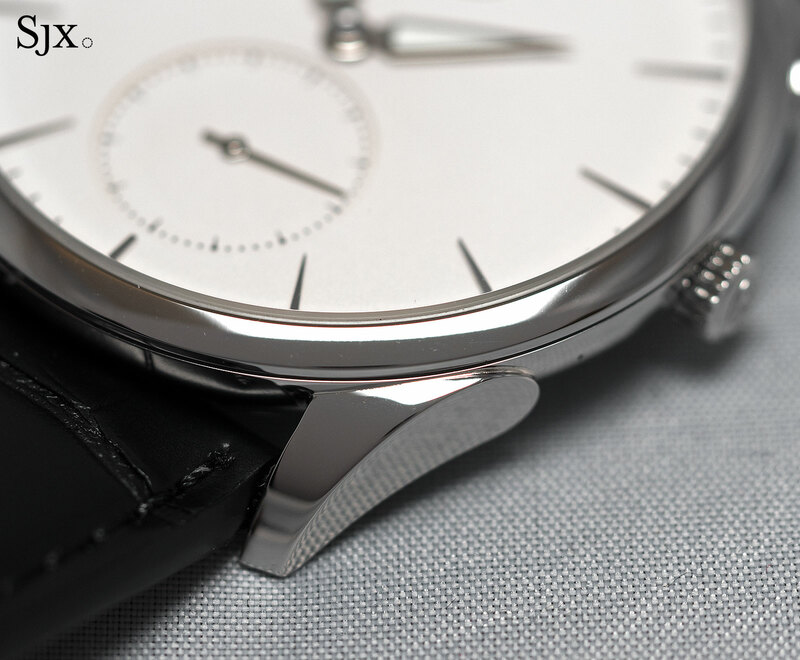 Like the other Tonda watches this retains the characteristic, prominent lugs that arch downwards. 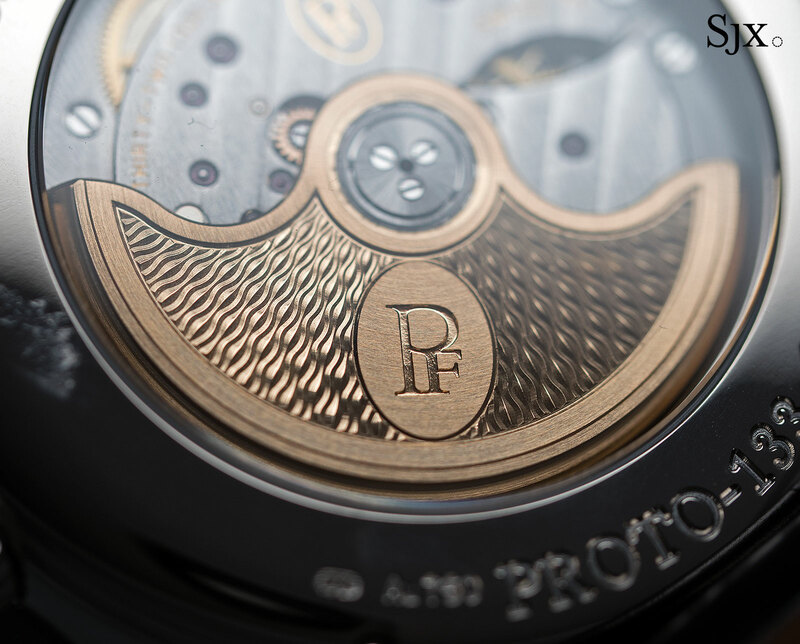 A sapphire back reveals the calibre PF702 inside. A variant of the Vaucher 5401 – Vaucher is a movement maker owned by Parmigiani – it’s essentially the same movement that also powers the Slim d’Hermes and Richard Mille RM 33-01. 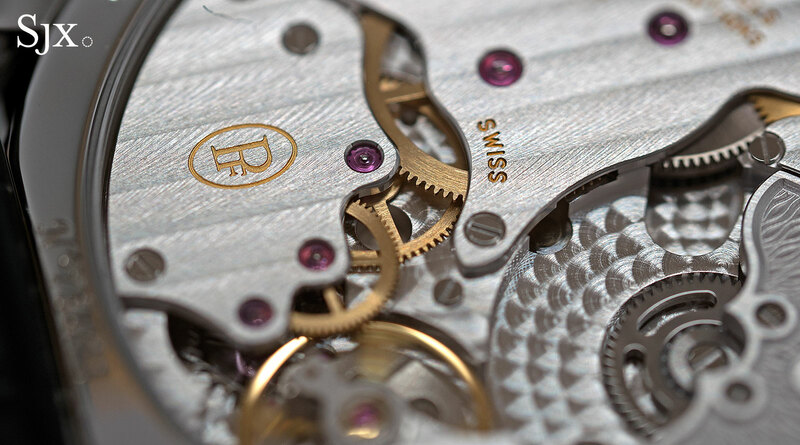 An automatic with a micro-rotor, the movement is an admirable 2.6mm high. 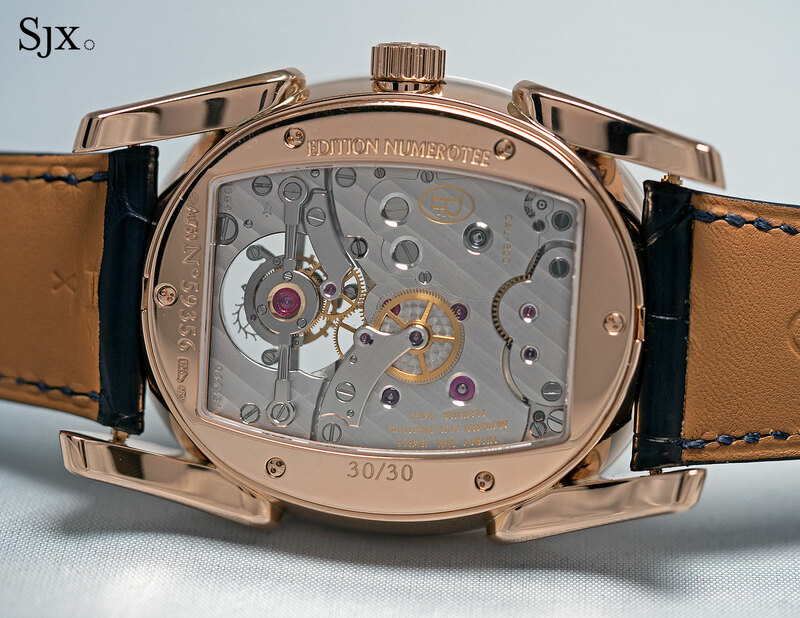 Essentially the same movement as found inside the 18k gold Tonda, with the exception of a simplified winding mechanism and tungsten. In the gold model the rotor is 22k gold. 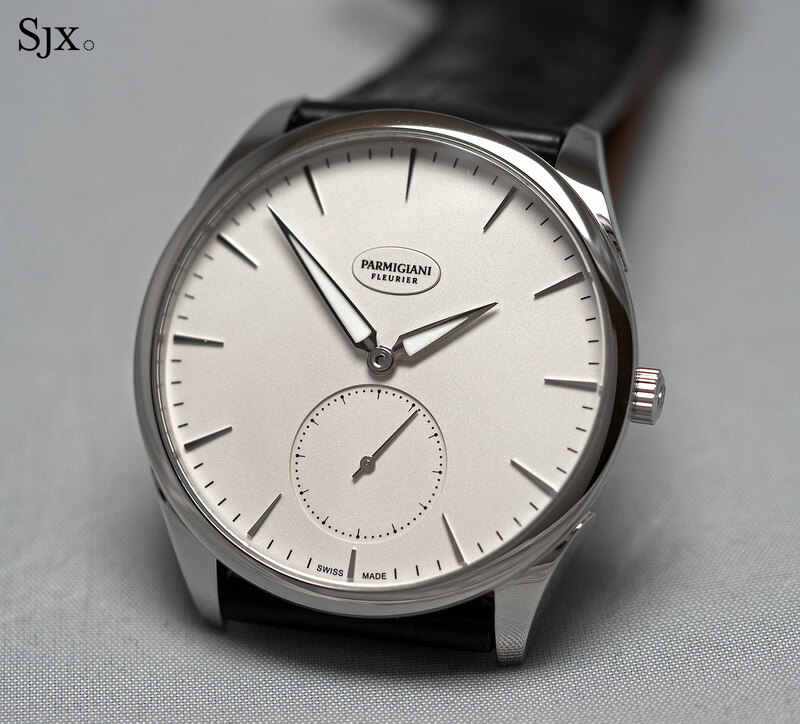 Available with a white or black dial, the Tonda 1950 in steel is priced at US$9900, making it the most affordable men’s watch from the brand. 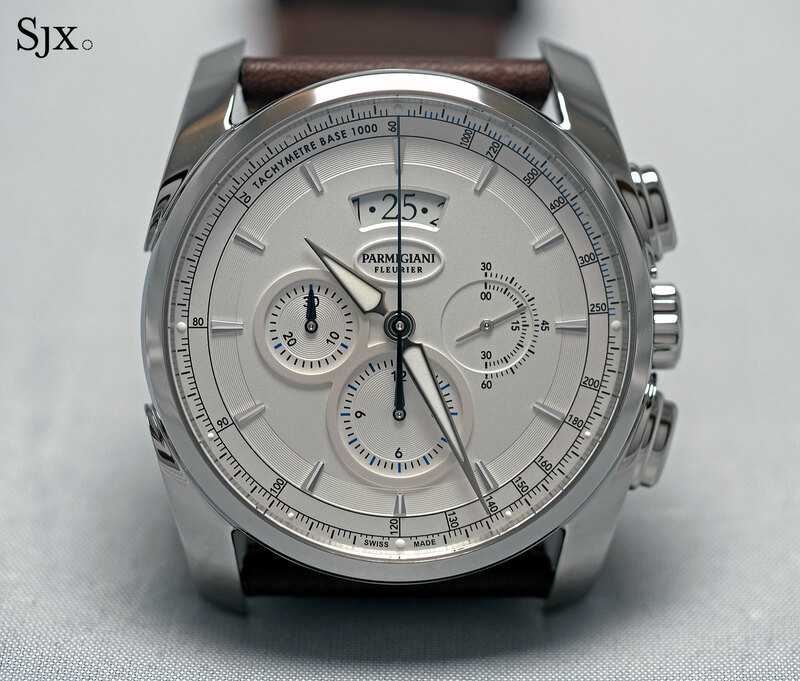 The next steel offering in the Tonda line is the Tonda Métrographe, the entry-level chronograph from Parmigiani that’s been given a dial facelift and a very slight price reduction of about 6% versus the earlier models. Available in black or silver, the new dial has a modern-ish design that looks more functional than the dials it replaces. 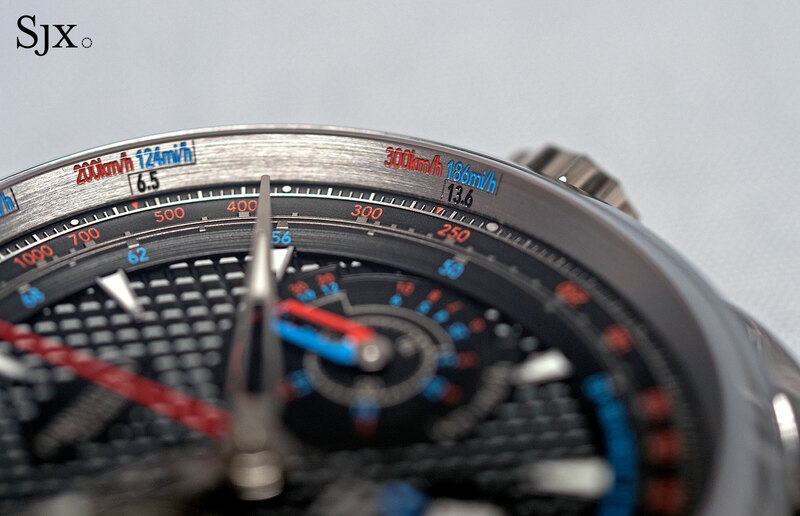 It’s characterised by baton markets and a tachymetric scale on the outer edge of the dial. 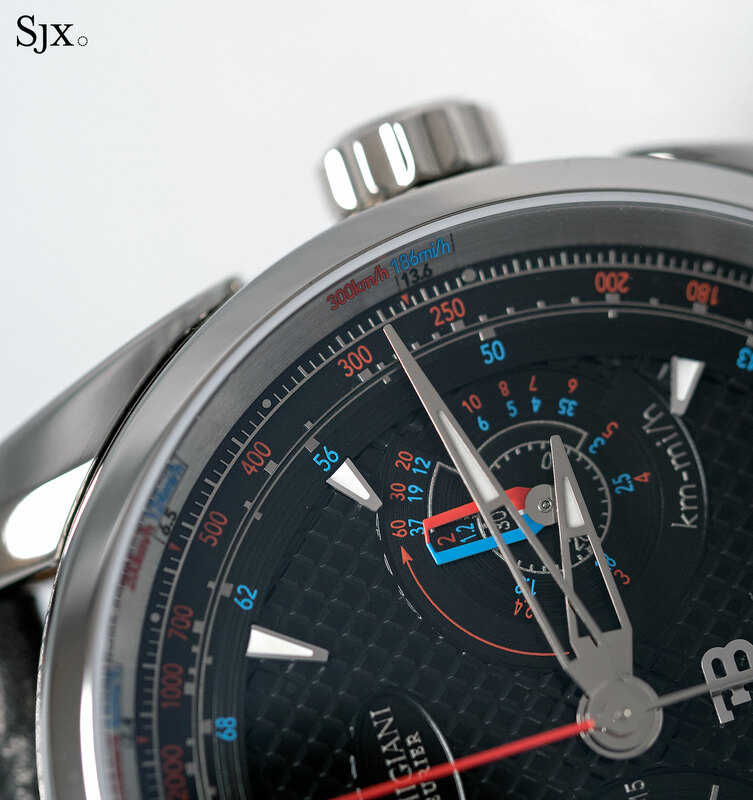 Each dial colour is matched with subtle coloured accents, gold on the black dial and blue for the white. 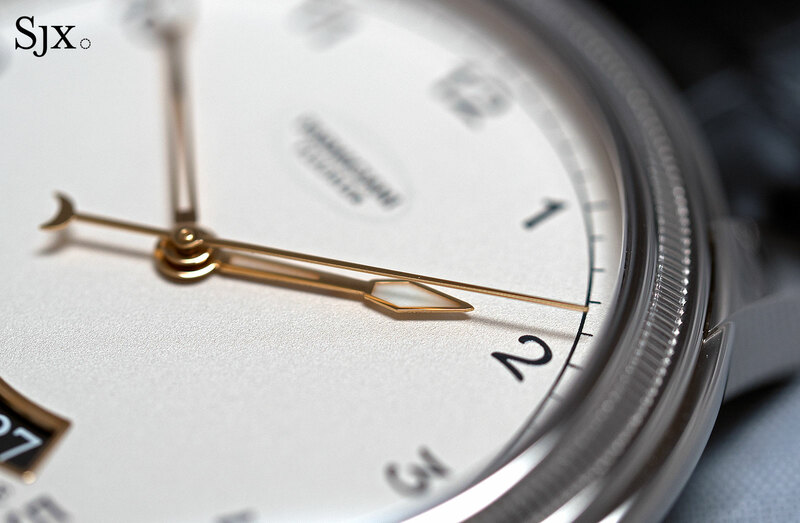 One detail that could be done without is the double-ended constant seconds hand at three o’clock, which leaves an unnecessary void on half the sub-dial. 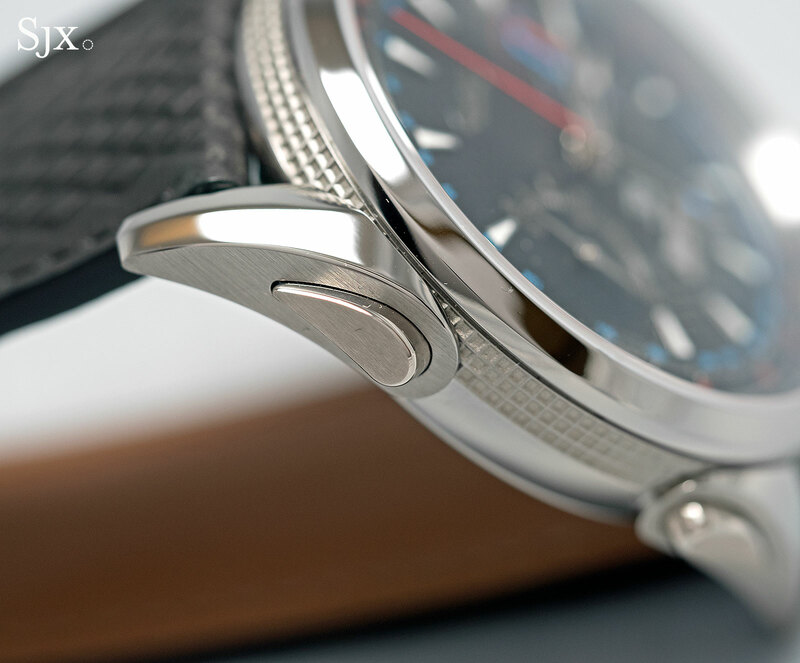 The steel case measures 40mm in diameter, but the wide lugs leave it seeming bigger. 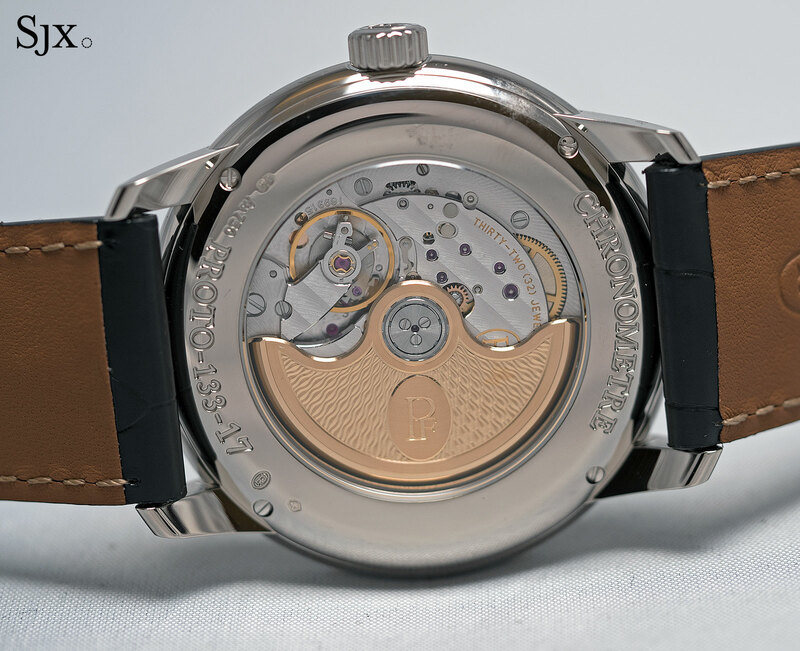 Inside is the PF315, an automatic movement with a modular construction, with the chronograph module sitting on top of the base movement. 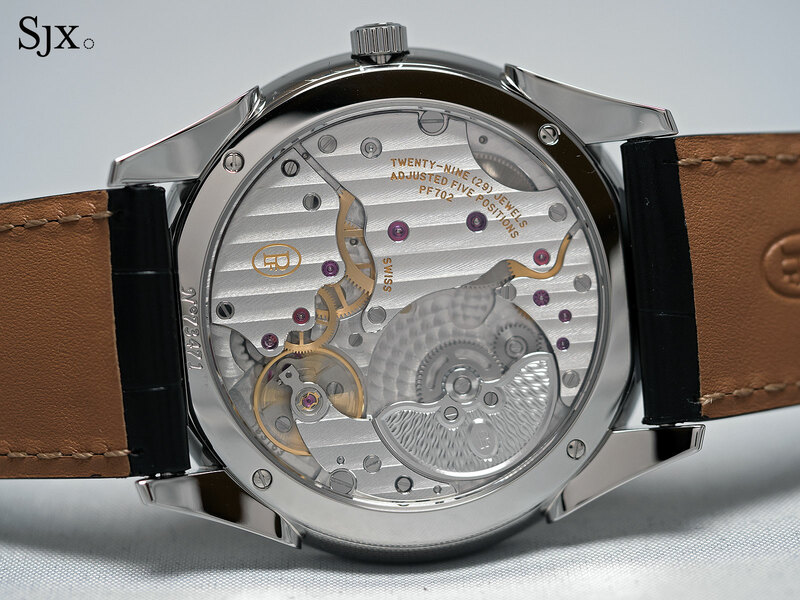 While a modular movement is not as respectable as an integrated calibre, the PF315 is attractively finished and acceptable in this price range. 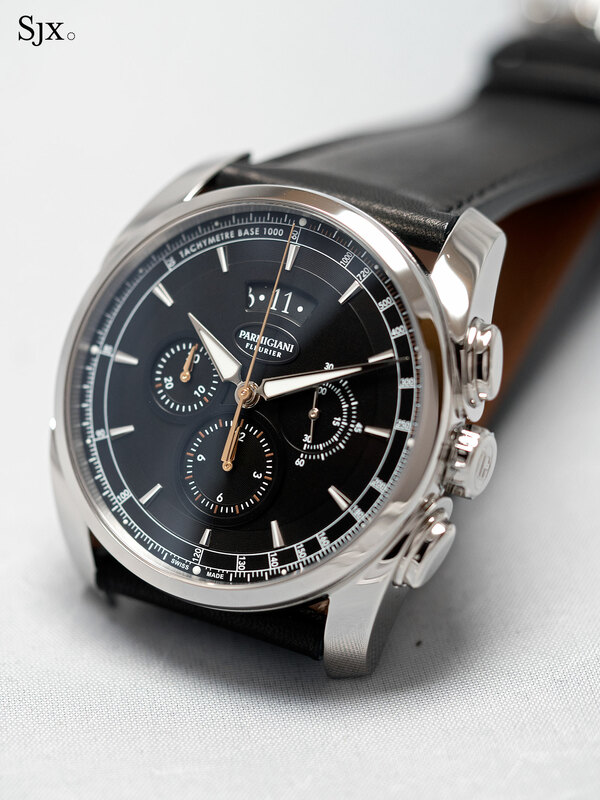 The Métrographe is priced at US$11,500 on a leather strap and US$12,000 with a steel bracelet. While Parmigiani’s best known Bugatti watches tend to be avant-garde timepieces, the Bugatti Aérolithe Performance is a conventionally shaped titanium chronograph inspired by the Bugatti Aérolithe, a magnesium bodied concept car unveiled in 1935 that was never seen again. Using the Tonda case as a base, the Bugatti Aérolithe Performance adds into various automobile-inspired elements, including the speed benchmarks of the modern day Bugatti Chiron supercar, which are engraved on the flange under the crystal. Each marking indicates a speed in both kilometres and miles per hour, and the time a Chiron would take to reach them. 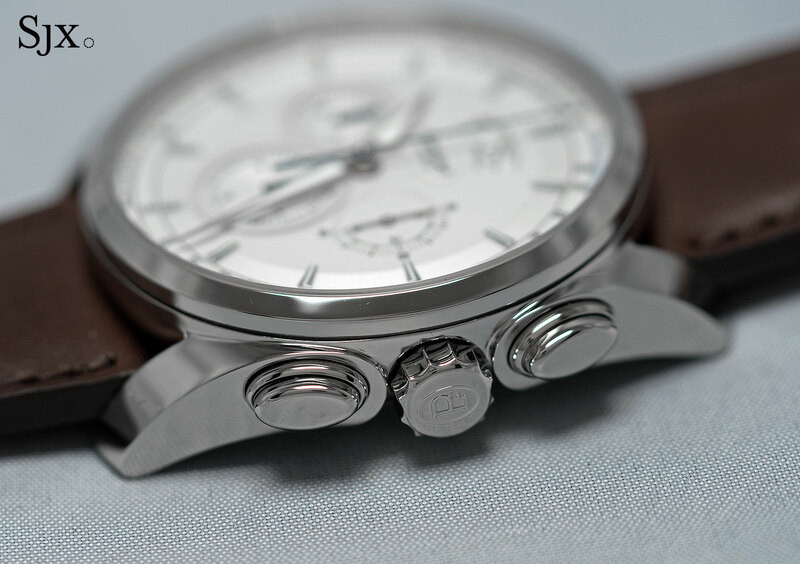 Finished to an impressive degree, the titanium case measures 41mm in diameter, with both chronograph pushers integrated into the lugs on the left of the case. The nature of titanium means it is rarely finished to a high shine, but this case has both mirror polished and satin brushed surfaces that provide contrast. Both the dial and case band feature a recessed chequerboard pattern that required laser to achieve, since such a fine motif is impossible to accomplish with traditional milling or stamping methods. The level of detail, however, is invisible except upon the most minute inspection. The Bugatti Aérolithe Performance chronograph is powered by the calibre PF335, a flyback chronograph with a modular construction. The Bugatti Aérolithe Performance costs US$22,900. The most classically handsome watch in the line-up is the Toric Chronomètre. 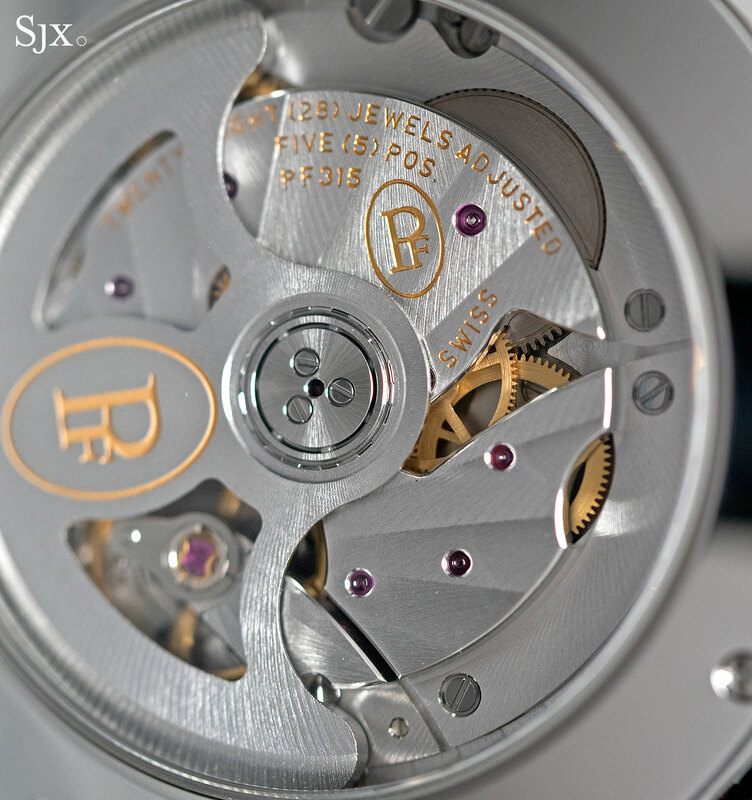 Featuring a distinctive fluted bezel that was Michel Parmigiani’s first design when he set up the eponymous watchmaker, the Toric case was reserved only for extremely pricey complicated movements, like the minute repeaters unveiled last year or a million dollar grand complication. 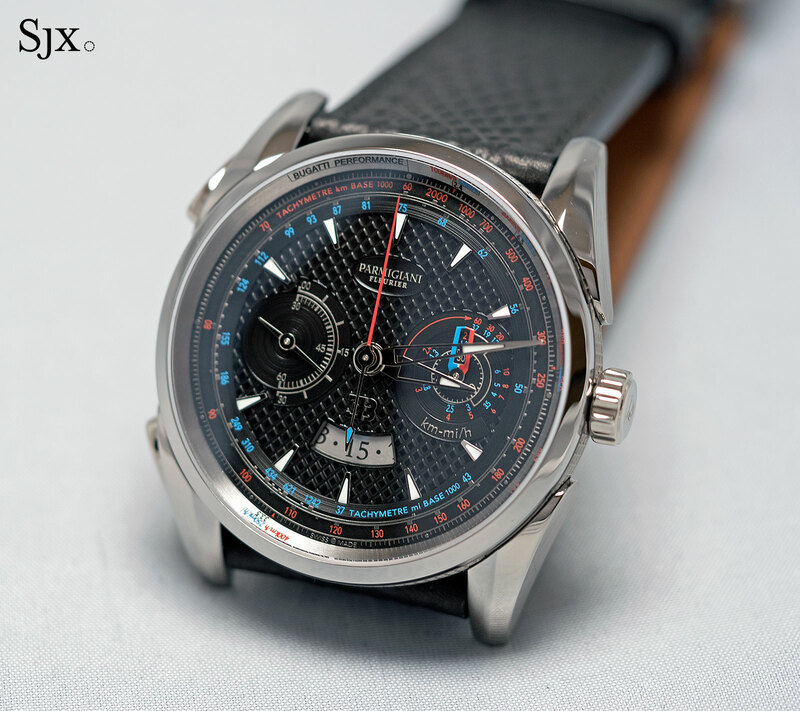 Now that has changed, with the new Toric Chronometre, a wristwatch that’s simple but finely executed. The 40.8mm case is wide but flat at 9.5mm high, with finely shaped lugs that are individually welded to the case middle. Deceptively simple in shape, the case is nonetheless extremely well made; even up close the welding of the lugs is invisible. The dial features lance-shaped hands filled with Super-Luminova, which looks a bit incongruous against the formal style of the watch, as well as a gold frame for the date window at six. Instead of a conventional aperture to accommodate a single date at a time, the window is fan-shaped and shows three dates, with the current one in the centre. While this exaggerated window usually looks out of place, on the Toric dial it seems to work. And the date ring is in a contrast colour to the dial, which is curious but not unattractive. The Toric Chronometre is equipped with the calibre PF331, a thin automatic movement with a 55-hour power reserve as well as a 22k gold rotor decorated with a fine barleycorn guilloche. While there is no doubt the movement performs well and is finely decorated, its conventional looks aren’t compelling. 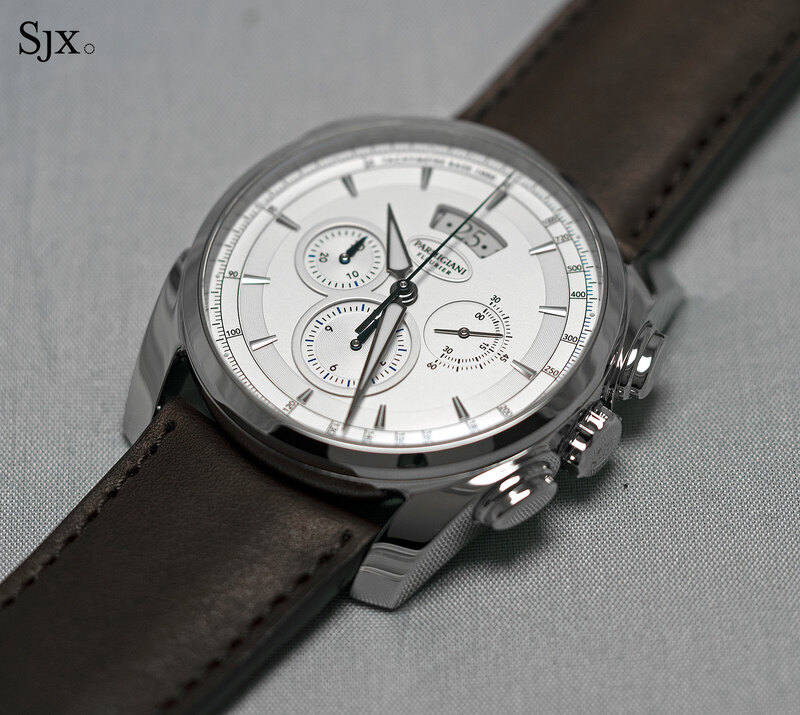 Available with a white grained or glossy black dial, the Toric Chronometre is also offered in white or red gold. It’s priced at US$18,500 in any guise. 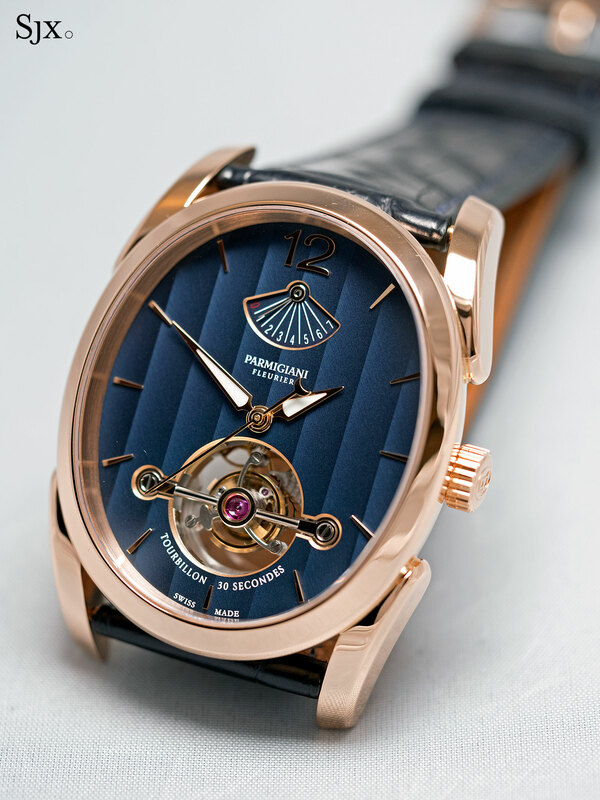 The Ovale Tourbillon is an existing model, but has been given a redesign with the Ovale Tourbillon Rose Gold Abyss. Named after the shape of the case, the Ovale Tourbillon has inside the PF500, a hand-wound calibre with a 30-second tourbillon. That means the tourbillon carriage makes one revolution every half minute, in contrast to the more sedate one minute that conventional tourbillons take. This particular model gets its name from the “Abyss Blue” dial that’s a rich blue paired with a vertical Côtes de Genève pattern. The dial is actually a plate of 18k rose gold that is finished with Geneva stripes in the same manner a movement bridge would be. 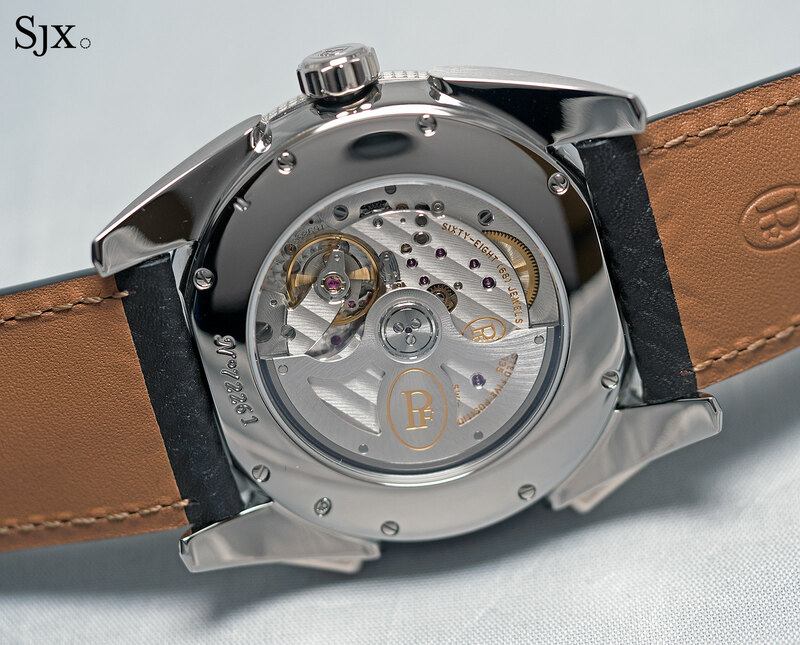 Like all Parmigiani tourbillon movements the PF500 is wonderfully finished, with rounded steel bridges securing the tourbillon cage on both the front and the back of the movement. 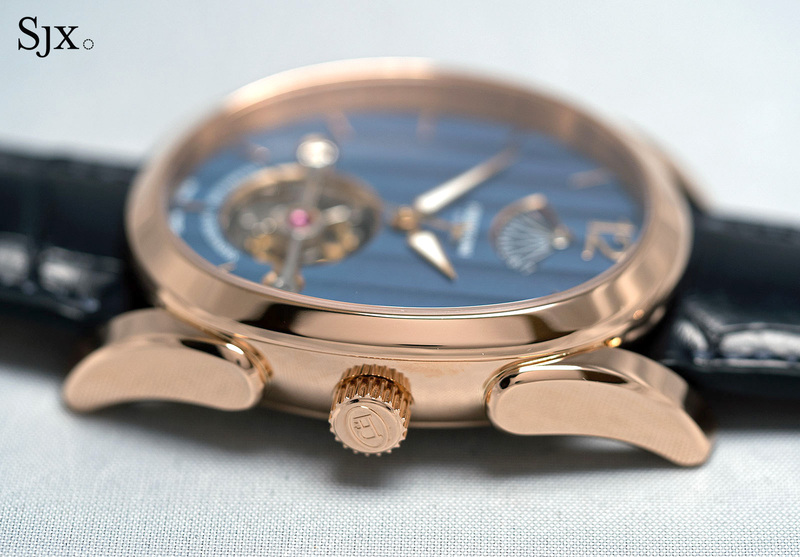 The rose gold case measures 37.3mm wide and 45mm long, while being 12.25mm high. This leaves it feeling rather chunky, an impression reinforced by the large lugs. 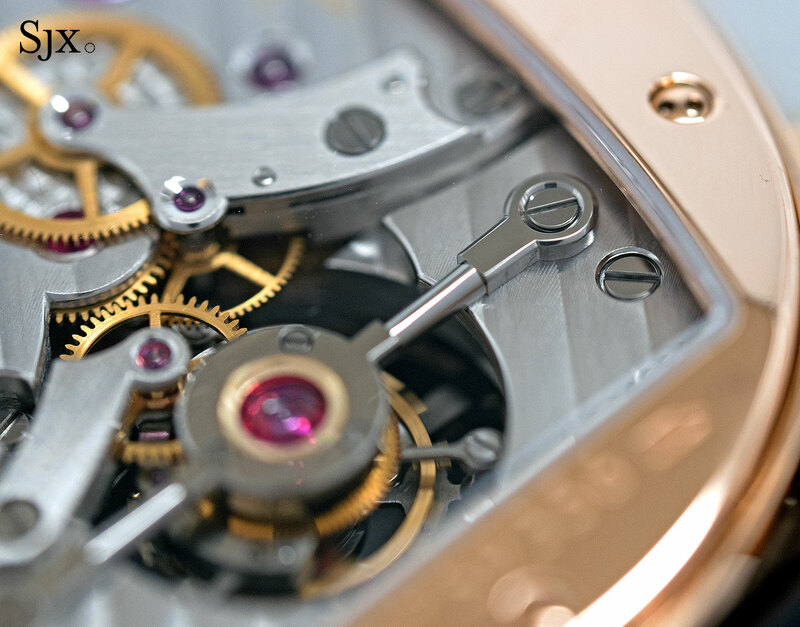 The Ovale Tourbillo is priced at approximately US$260,000. Addition February 5, 2017: Differences between PF701 and PF702 inside Tonda 1950 included. Parmgiani continued to impress with new in-house movements - including the 70-day power reserve Senfine concept - as well as exceptionally elaborate haute horlogerie complications at SIHH 2016. Here's all you need to know about its new watches, complete with original photography and prices.